How can I find more friends, where do I find "Friend Codes"? A lot of players share their “friend code” in the comments of the application on the dedicated stores, like Google Play, Apple Store, or Amazon Apps. See the links below. You can also share your code on Facebook or other social networks and invite your friends to join you. I lent an animal, but how can I get it back? 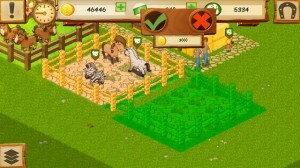 Your animal will automatically return after 30 minutes playing the game. 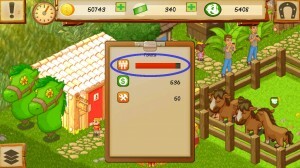 If you touch the animal and open the information window, you can see a progress bar showing the remaining time. When the progress bar is full, your animal will be back! How can I increase the size of an enclosure? Buy a new enclosure of the same type. Place the new enclosure so it intersects the one you want to increase. How can I decrease the size of an enclosure? Unfortunately you can’t. But you can sell the enclosure to create a new one (see the next question). What happens to my animals if I sell an enclosure? 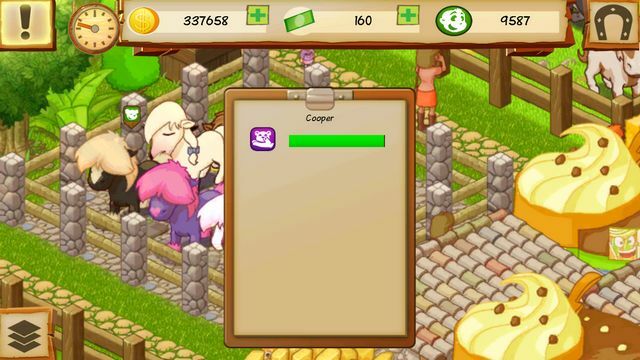 If you sell an enclosure containing animals, they will be stored in your inventory so you don’t lose them! Why visitors keep complaining about Ice Cream (or another need) even after I bought the correct building? Visitors need a few seconds to discover there is a new building available. However if they keep complaining, check the building information window: If the progress bar is completly red and full, it means the building is full and you need to build more. The more visitors you get, the more facilities theyneed! ectly connected to a road, or the road itself is not connected to the entry of your Park. How can I transfer my Park on a new device? Be sure to have an internet connection on both of your devices. 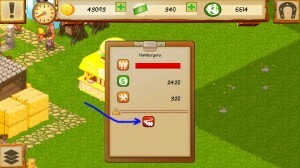 Run the game on the first device, then login with Facebook (or Google+ if both your devices support it). Play a minute then return to the main menu: this will save your Park in the cloud. Now on your new device, just login in the game with the same account, and your Park will be downloaded from the cloud! Of course, both devices need an internet connection for this to work.